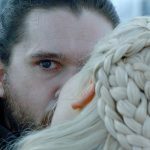 Abe and Roberto are back to talk “Game of Thrones” and discuss your thoughts on the latest episode, “Stormborn!” Jon makes an unpopular decision. Sansa gets promoted. Daenerys moves forward Tyrion’s plan. Missandei and Grey Worm find love. Melisandre resurfaces. Sam takes a risk to help Ser Jorah. Arya reconnects with old friends. Cersei and Jaime seek support from The Reach. Qyburn makes a weapon. Euron attacks. Theon flees. * Wonderful descriptions of Missandei and Grey worm’s love and passionate encounter. * I love your spot on discussion and descriptions about the edits from Samwell to Hotpie’s scenes; talk about playfully trolling the audience! * After listening to everyone’s comments about how the flagships initially encounter each other, I can better understand why at an overall level I didn’t like the battle scene at the end. It appears they foregoed believability to throw us a somewhat valid coitus interruptus between Yara and Ellaria. * After listening to this podcast, it has jarred up my thinking about Arya’s direction and now I can see why folks are saying she may opt more for first going to Winterfell over her solo assassins quest for Cersei. However, I still think ultimately she will end up going back on her quest (more on that bit further down in this comment.) I totally forgot one critical thing in my thinking about Arya going back to the task of killing Cersei on her own over proceeding to Winterfell. It was Jon who had Needle forged and who gave it to Arya because he knew and believed in her true nature; that Arya was a fighter. So if she showed up to his doorstep he would accept her with open arms as a fighter for the North and Winterfell. She loved Jon dearly for this as well so of course she wants to go and see him. Sorry, huge oversight on my part. If it was Rob or Ned who was still in charge of Winterfell, Arya probably would continue to make a beeline for Cersei because they initially saw her as a Lady of Winterfell and as Arya has stated she is not. All that being said, what would happen to her story-line if she went back to Winterfell and the battle with Cersei just rages on through Dany and Jon? That would leave Arya with little or no story-line purpose in my eyes; except maybe to kill other people on her list like the Hound. However, the Hound, Thoros of Myr, Beric Dondarrion and Mel (all on her list) will probably end up being at the Wall; fighting the army of the undead and I am sure Jon will not want her there. He will want her to fight and defend Winterfell in case he failed and the Army of the undead made it that far south. A cool thing would allow her to become Winterfell’s assassin. However the only enemy I can see her immediately killing for Jon or Sansa would be Little Finger. I think she will take it upon herself to kill Cersei again and she will leave Winterfell to do so. It just appears to me that is what the story wants her to do. What do you all think? Do you think Arya will go back on her quest to kill Cersei? Great Podcast! 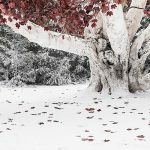 I am not sure if these comments are being posted, however I left a long post about changing my opinions about Arya’s direction based on your podcast and everyone’s comments. I will try reposting it again later today. Sorry, I must have had fat fingers this morning and erased my comments. Great descriptions of Missandei and Greyworm’s time together and the quick edits between Samwell attempting to cure Jorah and tucking into Hotpie’s creations! I think regardless of whether it’s setup for his fall in future episodes this did give me much more of Greyworm then I received in the past. It’s clearer that he actually has feelings for Missandei; not just lust from seeing her naked bathing from an earlier episode; and clearly it’s mutual. So, I felt it strengthen their bond. Although we are nearing the end of this whole thing, the one thing that would be cool to see consistent with these remaining episodes are touches here and there on secondary characters. I think that rounds out the world the major characters are in. If you close it down too much I think there’s something that would get lost. I really appreciate everyone’s feedback on the battle scene because it just didn’t work for me and I couldn’t understand why. Now that I have had a chance to think about it, I think it’s because I had a hard time discerning between ships on opposite sides and the secondary people on each side fighting. Also did Obara manage to stab Euron with her spear and did she coat it with poison like ike her father Oberyn used to? So, Dorn still has it’s army because Yara had not picked them up yet. I also find it difficult to believe Yara didn’t see a thousand ships in the Narrow Sea positioning to attack them (even in darkness). and all of sudden there would be the other fleet. Then again there were the comments about how the flagships would be escorted most likely by other ships that would encounter each other first. * Trystane being killed by Obara in Blackwater Bay while preparing for Myrcella’s funeral. Only a day or so prior the Sand Snakes had bid Trystan fairwell from a dock at Sunspear. Unless they had a motorboat how as that possible? * Arya (face or no face) manages to kill and chop up the two bodies of the Frey Brothers; somehow sneak those parts to the kitchen undetected and bakes pies out of them and then kills Walder Frey. * Areo Hotah stabbed in the back by Tyene. He was a master of the guard and superb fighter. That was hard to believe. You guys also turned me around about Arya going to Winterfell rather then continue to go after Cersei. I totally forgot that it was Jon who gave Needle to Arya, so of course she would head up to Winterfell. I still think though she will continue on with her quest to kill Cersei and the Mountain. I can see Winterfell being just a pit stop.